Being an eminent company, we are involved in rendering Stainless Steel Railing Work. We make a all types of Decorative Railing Work. 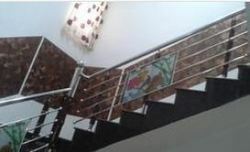 Being a reckoned name in this domain, we are indulged in providing Stainless Steel Railing Work. 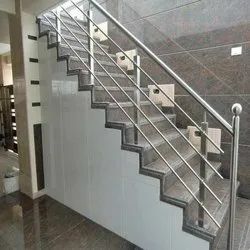 This Stainless Steel Railing Work is highly acclaimed for its flawless implementation, reliability and prompt execution. We are able to carry out these services in accordance with client’s variegated requirements and demands. Captivating the skills of our professionals, we are involved in rendering Stainless Steel Glass Railing Work. To meet the various requirements of the customers, we are involved in providing Stainless Steel Railing Work. Our company has mastered the art in providing SS Hand Railing.